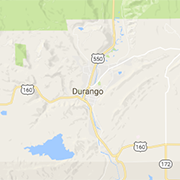 Looking for insurance in Durango? Choose from these auto, homeowners, life and business insurance providers. Serving Southwest Colorado for 23 years, the Dale Willbanks Agency of American Family Insurance provides customers with auto, home and life insurance. Addressing unique and complex insurance needs, we provide clients, both personal and commercial, with quality insurance products and services at the most competitive prices.